So how does BOSS increase your profit per accountant by 51%? Your BOSS accountant is dedicated to only YOU. Please take the time to read the whole article to learn the many benefits of using BOSS and the superior service we offer compared to typical outsourcing companies. Utilising staff offshore is not new but this business model is – we call it IN-Resourcing. The example below is based on an Accountant with 5 years accounting experience (Sydney CBD salary figures). That’s a gross profit increase of 51%! The above table may be a simplified version of in-house costs and I’m sure you can add to the list! So now you should be seeing the pure profit potential of using BOSS accountants for your practice. You can talk directly with your accountant and monitor how jobs are progressing online. Each BOSS accountant you have is dedicated to working YOUR way using YOUR systems and YOUR procedures. Usually the accountant logs in remotely to your IT system but even if documents are simply uploaded to our secure website, all work is done as if they were an in-house employee working in the next cubicle. This is very different to using outsourcing services where an accountant is typically serving many different companies, cannot log on to your server and you lose control over the data and the person who is working on it. Data can remain in your office. You have the choice of your BOSS accountant logging in remotely or uploading work via our secure website. If our accountant logs in remotely no data need leave your office. Your IT technician can simply lock files that you don’t wish your BOSS accountant to have access to. With typical outsourcing this is not often an option. Your BOSS dedicated accountant can be nurtured like your own staff so they get better and better! You can expect to have a BOSS accountant moving to the point at which jobs are completed ready for sign-off. Typically in outsourcing it is common place to have your work given out to anybody that is available at the time. Which means the individuals cannot be “fine tuned” and you may find yourself repeating the same instructions or corrections again and again, ultimately leading to your time wasted, and jobs blowing out over time and over budget. You get to learn the competencies of your BOSS accountant quickly and know what to expect when you submit work to them. Again, outsourcing companies typically farm off your work to whoever is available so you cannot expect any consistency in the work done. A BOSS accountant contracted to you on a full or part-time basis can save you typically 44% – 55% compared to other specialist accounting outsourcing companies. 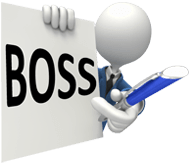 In addition all work is reviewed by a BOSS manager before handing back to you – something that you would normally have to pay extra for if you engage an outsourcing firm. We are an Australian company set up and directed by the Managing Director of a successful Australian accounting practice and therefore understand completely the needs of other Australian practices. We have over seven years of experience providing this service to accounting firms and regardless of your current circumstances; we have solutions that will work for you! We hold your hand every step of the way – from initial set-up, onwards – always making sure you get the right result. You can simply tell us what accountant you need and we take care of the whole recruitment process (you have the option of conducting any tests or running your own interviews as well if you wish). You can save thousands on recruitment fees and don’t have to spend any time or effort recruiting! We do practically all of the training for you week in week out, year in year out! You don’t have to squander any of your precious time on weekly tax meetings, team building activities, external courses etc, etc! You could meet more of your clients more often and help them achieve better results with their business and at the same time charge out more of your time at your highest rate for this lucrative value-add work! You can free yourself up for some worthwhile marketing. Devote a proper amount of time to devote to growing your business. Growth is now easy with no more logistical headaches. We offer casual staff as well as dedicated full time or part-time accountants to suit your business needs. Save over 52% on the costs of employing each accountant! It is quick and easy and can be done in as little as two hours. For more info check out How It Works. Right now we are offering a FREE trial! We will happily do one free trial job – up to a maximum of 20 hours worth of work – completed by an experienced accountant you could charge out at $140+ per hour. That’s $2,800 of value FREE! To claim your free trial, Fill out our Contact Request Form or call 1800 88 92 32 NOW! REMEMBER: We have over seven years of experience providing this service to accounting firms and regardless of your current circumstances; we have solutions that will work for you! We hold your hand every step of the way – from initial set-up, onwards – always making sure you get the right result. No doubt you have more questions, and I would be very keen to hear about your business, the particular challenges you face and how we can make your business more profitable. Please call or email me to arrange your FREE trial NOW!